First locally manufactured low emission diesel bus rolls off the production line. The first of four environmentally efficient buses funded by a $2 million Northern Economic Plan grant will commence a citywide trial on Adelaide’s main public transport network on Friday, the SA government announced last week. 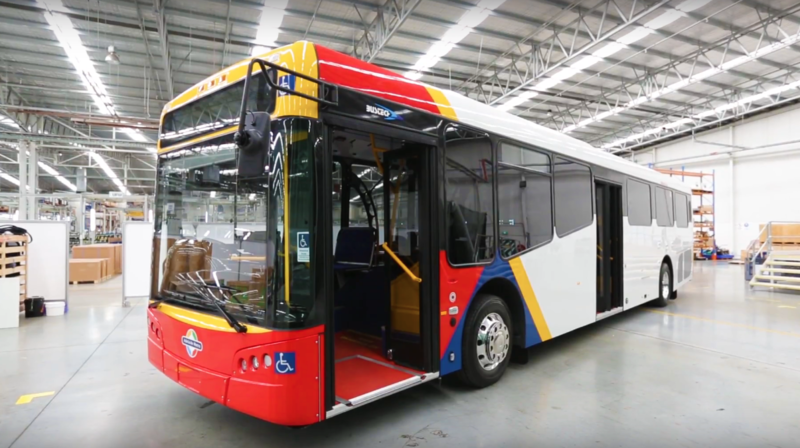 The four buses are being manufactured in northern Adelaide by a strategic alliance comprised of Precision Components and Bustech, with specialist engineering, manufacturing and supply chain development support by ZF Lemforder Australia. Manufacturing and Innovation Minister Kyam Maher said the success of this advanced manufacturing project had led to an agreement for an additional 50 low carbon emission diesel buses to be manufactured for supply interstate. “The agreement to manufacture an additional 50 low carbon emission diesel buses in northern Adelaide is great news for local automotive suppliers as it creates opportunities across other areas of advanced manufacturing,” the Minister said. According to him, the second low carbon emission diesel bus for trial will be completed in the coming weeks, while two electric buses are due for completion at the end of March. “The fact that the first ever wholly Australian designed, engineered and manufactured electric buses will roll off the production line later this month right here in northern Adelaide is further evidence of the state’s advanced manufacturing expertise,” the Minister added. Precision Components Director Mat Fitch said the success of the project was a testament to both the capabilities of resources in the state and the focus on advanced manufacturing opportunities. “The alliance is committed to maximising the use of local materials and suppliers across the manufacturing process to provide the most benefit to the northern-Adelaide community,” he stated.